+$Can you bag a bargain on Amazon Prime Day 2019? We predict the best Prime Day deals for designers. +$Amazon Prime Day is now just a few months away, which means there's not long to wait until we see some brilliant deals for artists and designers. So if you've been wanting to get your hands on some new hardware or a specific tool, it may well be worth hanging on as you could potentially make some huge savings. +$As the title suggests, Prime Day is for Prime subscribers only. But fear not! Amazon offers a free 30-day free trial period, which you can cancel at any time without charge. +$But what you really want to know is if Amazon Prime Day bargains what they seem, right? Is Amazon Prime Day 2019 going to be a designer’s delight? Let’s find out. +$When is Amazon Prime Day 2019? +$Amazon hasn’t revealed the date for Prime Day 2019 just yet, but Prime Day has previously been on the second Tuesday in July, close to Amazon’s birthday (it was founded on 5 July 1994 and officially launched on 16 July 1995) – so that would mean Amazon Prime Day 2019 would run from Tuesday 9 July 2019 into Wednesday 10 July 2019. That’s because Prime Day is actually 36 hours, not 24. +$There’s a possibility it might be a week later, though. Last year’s Prime Day was a week later on the 17th because of the World Cup, although it’s possible that Amazon might stick with the later slot. If so, Prime Day 2019 would fall on July 16 2019. 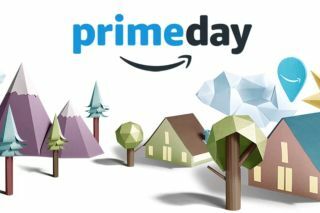 +$Will there be an Amazon Prime Day 2019 in Australia? +$Yes. Amazon.com.au already has a+$holding Page+$in place, and we’d expect Prime Day Australia to be a bigger deal in 2019 than its 2018 debut. Last year Australian shoppers were only offered 340 deals, compared to 2,800 in the US, and the focus was very much on smart home and gaming devices. In 2019 we’d expect a wider range of products and many more offers. +$Prime Day can be a good day to get the laptop you’ve been promising yourself: last year there was a whopping 34% off the Microsoft Surface Pro 12.3”, with discounts of around 20% on other models. For example, Dell’s Inspiron 7000 17s dropped from $1,299 to a much more affordable $899. If convertibles are your kind of tool, you could get 33% off the Acer Chromebook R11 Convertible – or if you’d rather just have a dedicated tablet to scribble on, the Samsung Galaxy S3 tablet – which includes the useful S Pen – was 27% off. +$There were decent deals on a wide range of peripherals too: Logitech’s comfy MX Anywhere 2 AMZ was 60% off, down to £27.99 from the usual £69.99. Keep an eye out for discounted monitors too: while Amazon tends to focus on gaming monitors we saw decent discounts on more sober models too. +$If you’ve been hanging on for an iPad Pro, don’t expect massive discounts on the newest ones – but keep your eyes peeled for deals on the outgoing model and for lightning deals on the current line-up. Last year Amazon briefly dropped the iPad 2018 model from £319 to £289. Not a huge saving, we know, but more than you can usually get off Apple kit. +$Last year we saw 20% discounts onAdobe Creative Cloud+$subscriptions: the Creative Cloud Photography Plan, which includes Lightroom CC, Photoshop CC, Spark Premium, Adobe Portfolio and 20GB of cloud storage, was down to $95.95 / £79.99 for a year’s subscription. It’s currently back at full price, so fingers crossed for another deep discount on Prime Day 2019. +$There were some massive discounts on high-end cameras on Prime Day last year. One of our favourites was 54% off the Sony A7 28-70mm OSS lens kit, which plummeted in price from £1,549 to £719. Elsewhere on Amazon you could get $1,000 off a Sony A9, $740 off an A7 II and $300 off the Canon EOS M50. There were really good deals on bundles too: in one Canon EOS 80D bundle you could get a combined discount of $750 across the camera, memory card and external mic. +$Art supplies can be extremely pricey, so it was good to see deals such as 44% off the cost of a 120-pencil tin of Faber-Castell Polychromos colour pencils. That brought the price down to just under £80 compared to the usual £144. +$Fancy some smart lighting to get you in the creative mood? Amazon went big on smart home deals last year, with 1/3 off Philips Hue kits and bulbs. And if you like to listen to music while you create you can expect big discounts on Amazon’s own Echo speakers as well as on Bluetooth speakers and headphones. If you travel a lot for work (or for pleasure!) or just need to tune out the ambient sound while you work we’d strongly recommend a set of noise-cancelling headphones: they’re brilliant on trains and planes. Last year Amazon dropped the price of Bose noise-cancellers by $50 and JBL ones by a whopping $140. +$Sticking with us is a good strategy: we’ll spend the days up to and including Prime Day scouring Amazon for the best genuine deals for creatives. +$We’d also recommend doing your homework before the day itself, deciding on what you want and what you want to pay for it, and ignoring any deals that aren’t on your shopping list: a deal is hardly a bargain if it ends up gathering dust in a corner of your studio. +$Beware stunt pricing, too. To see if a deal is really a good deal, we’d recommend using+$CamelCamelCamel.com+$to check its Amazon price history and+$PriceSpy.co.uk+$to see what other retailers are selling it for: while many deals are genuine, some sellers increase their prices just before big events so that the discounts appear to be much bigger than they actually are.